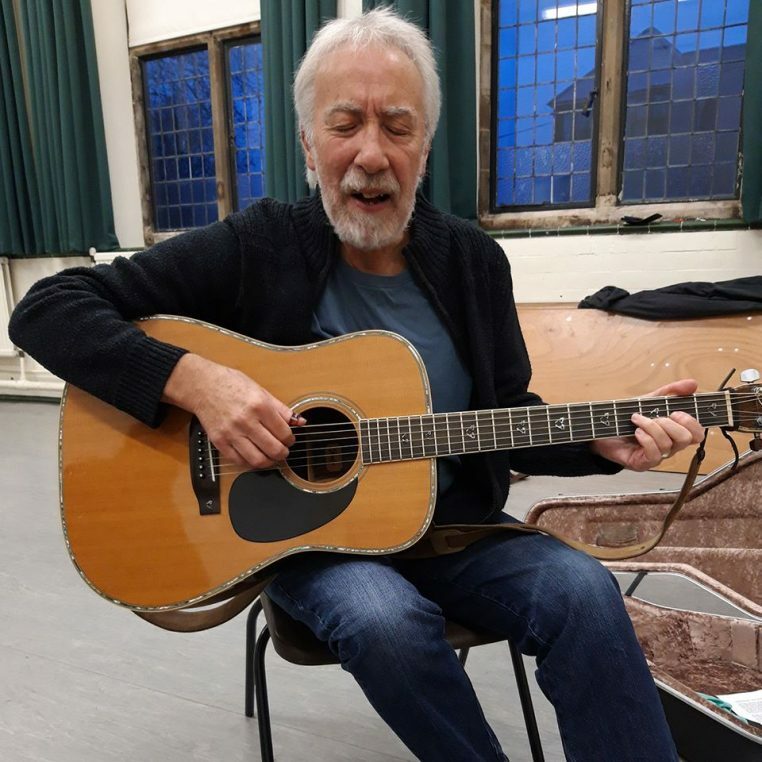 Pete Castle doing what he has done for the past 40 years – singing traditional songs and telling a few stories. Pete has worked all over the UK and occasionally abroad at clubs, festivals, libraries, schools – just about anywhere where there are people to listen. The material is traditional but his approach is modern – friendly and conversational. He is also a fine guitarist. 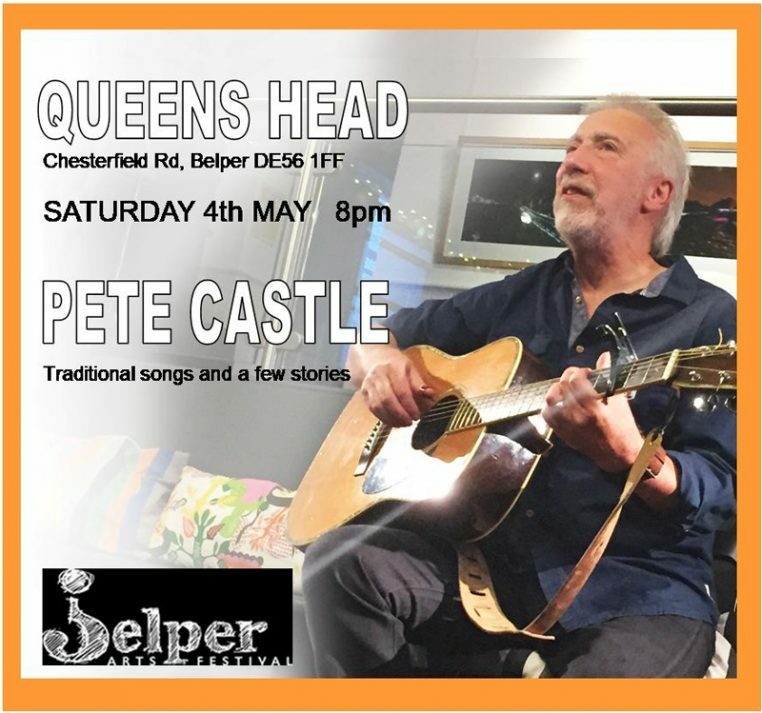 Pete has been a stalwart supporter of Belper Arts Festival since its inception and was responsible for the very popular ‘Build A Band’ a few years ago. The Belper based but internationally known folk singer and storyteller with his annual event for BELPER ARTS FESTIVAL. 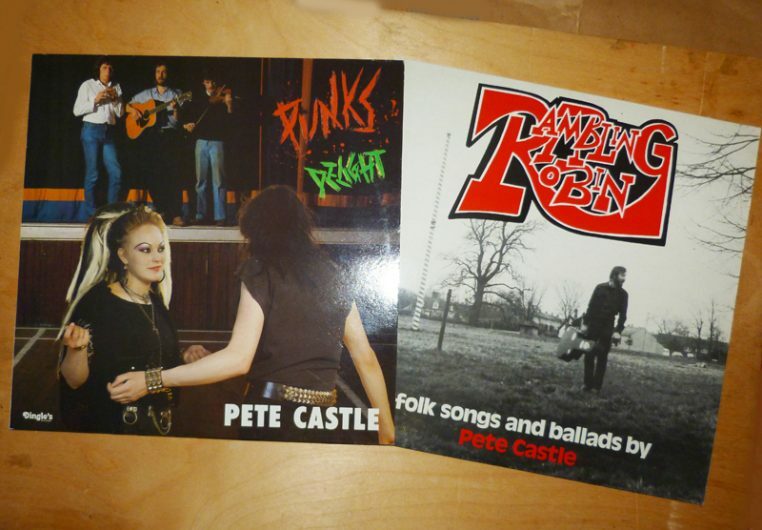 Pete sings traditional songs and tells traditional stories in a way that makes them relevant to today. Human beings haven’t changed since the stone age—the trappings of modern life are different but we still worry about love and hate, war and peace, making a living, having enough to eat, parents and children. NEWS UPDATE: Since Christmas I haven’t done any live performances and I don’t have any coming up for a while although this year is already busier than last year was—it’s just that all the gigs are coming in a couple of blocks later in the year. What I have been doing though is radio and TV plus my own on-line bits and, of course, Facts & Fiction. TV. My contribution to National Storytelling Week in February was to do a TV interview at Nottingham Trent University. It was for their Journalism course so they practised on me! It was a mock up of a TV news interview about National Storytelling Week. They have a state of the art TV studio there and everyone seemed very committed and to be working very hard. RADIO. Just before Christmas Jon Bickley and Steve Yarwood from the Invisible Folk Club came up to Belper from Bedfordshire and we recorded over 2hrs worth of material for their pod cast. (They’ve also used some of the songs I recorded in their regular programme since.) The podcast is available as 3×45-minute programmes in which we talk about folk music, storytelling, my career and a lot of other things. If you have the time take a listen. All three programmes are here but you may need to scroll down a bit as they may have uploaded others since mine! Jon and Steve are also chasing up the archive recordings of Bedfordshire Folk Songs which I recorded for Luton Museum back in the 1970s. YOUTUBE: For the past few years I’ve posted what I laughingly call a ‘Monthly Video’ on YouTube—laughingly because I only managed 6 last year! Some are actual videos, some are slide shows; some are song, some are storytelling. There are over 60 there now so take a look at those too. The most recent one, which is proving very popular, is a local song about lead mining in the Wirksworth area—The Blobber and the Windmill Lease. BLOG: Over the past few years I’ve written 40 something blog posts on a mixture of subjects. The most recent expands on the YouTube video mentioned above. FACTS & FICTION the storytelling magazine which I have now edited for 20 years! Have a look at ‘other half’ of this web site to get some idea of what it’s about. It’s mainly about storytelling but we often include song and traditions and a lot of the content is equally relevant to anyone in the ‘folk arts’. Recently someone played a track from my old LP ‘Rambling Robin’ on the radio in USA. It inspired me to dig out and play both the LPs I made back in the 1980s for the first time for many years and I was pleasantly surprised. This was very well received at the time and sold well. 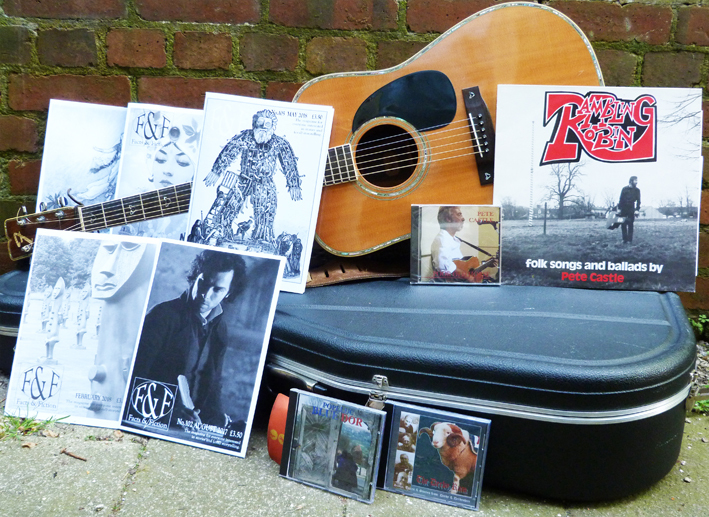 It did a lot towards getting me established on the folk scene (I had gone full time about 4 years before). My second LP came two years later, was not as well received and didn’t sell as well—but that was more down to the record company than to myself! My memory of it was that it wasn’t as good as it should have been but, when I listened the other day, I found it is! The improvement from the previous one is huge. It shows the effects of two years of solid touring. When we moved house last year a few of each came to light so I thought I’d offer them for sale. Just for the cost of the postage. So either LP (or both!) will cost you £3 in UK (I’ll have to find out about postage costs elsewhere.) I’m not going to bother about posting them in the SHOP so if you’d like to buy just contact me and I’ll tell you how to pay—it could be Pay Pal or a cheque. Derwent Valley Mills World Heritage Site Discovery Days run every year bringing heritage, history, arts and tourist events all down the valley from Matlock Bath to Derby plus a few side shoots to the neighbouring areas. This year’s events take place from 27th October to 4th November. There will be many of the tried and tested regular events plus some new ones, so something for everyone. Monday 29th October 11am LEAD & LIMESTONE, a storytelling walk with Pete Castle. A story walk for adults; on the edge of Wirksworth taking in the remains of two vital industries (lead mining and quarrying) and using them to inspire stories – not history but folk tales, although there will also be some historical fact and background. The walk is only about 2 miles but includes some rough terrain so is not suitable for anyone with mobility problems. Starts at 11am from the car park at the National Stone Centre Porter Lane, Wirksworth DE4 4LS. It is free but numbers are limited so booking is advisable. Phone 01629-536831. The annual concert of traditional songs and stories by Pete Castle, Keith Kendrick and Sylvia Needham. This is a well established annual event and last year someone described it as ‘a folk club that meets once a year’! Expect songs and tales about all the usual creatures—horses, hares, herrings, the cuckoo, dogs, bears… and even the odd werewolf! Venue is Wheatcroft’s Wharf Café by the canal at Cromford which is licensed and will be serving meals from 7pm. Booking advisable but you could cross your fingers and turn up if you decide at the last minute 01629-536831. It’s a long time since I posted anything here but that doesn’t mean I haven’t been busy. For a start I’ve got a new web site – but you know that because you’re looking at it! It means that I can now update it myself and I will be doing so much more often so come back and have a look regularly. A thousand thanks to Jim Hancock who ran the old one for me for donkey’s years and for Rhys at High Heel Creative for all his work on this one. 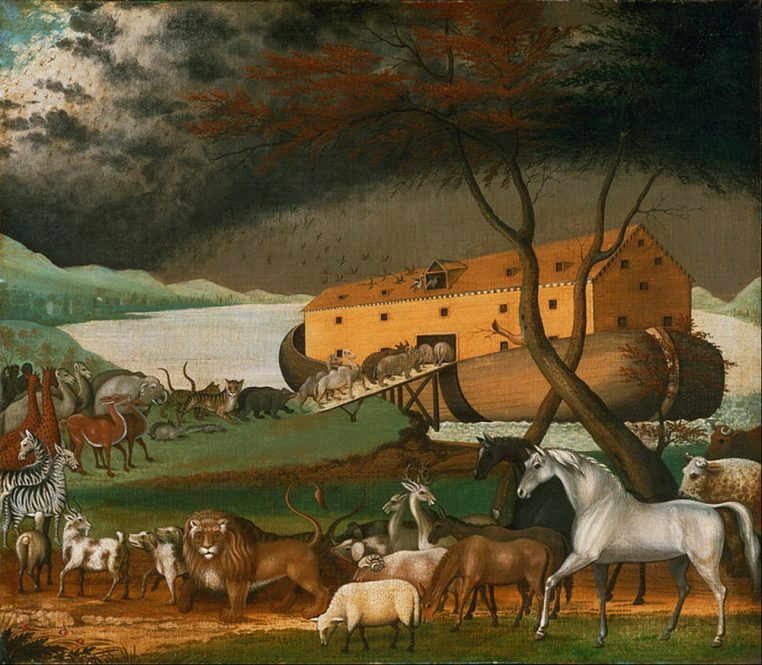 I have been plugging and producing Facts & Fiction which goes from strength to strength. (If you don’t know it have a browse through those pages here.) It was good to have a stall at Festival at the Edge where I could meet current and future subscribers and put a few faces to names. Two books: in the Shop there is a new book for which I was very pleased to write a chapter: An Introduction to Storytelling (https://petecastle.co.uk/product/introduction-to-storytelling/) It has pieces by many of the top names on the storytelling scene and covers many aspects of the art. If you are at all interested in storytelling then you should have it! There is also Katherine Soutar’s book of cover illustrations – Painting the Tales. She has done the cover designs for the whole of The History Press’ Folk Tales series (well over 100 books!) and in this book she has chosen a selection of them to show and write about – how she chose and made the images, the difficulties and pleasures involved etc. Amongst them is my Where Dragons Soar with it’s picture of Reynardine outside Whitby Abbey – a really powerful image which she says she had to keep covered up because it made her uncomfortable! I haven’t a stock of these so get it direct from THP. Living Tradition magazine published a piece by me about the history of the Derby Ram which I suggested could be related to similar rituals involving men dressing up as large animals found all over Europe. Perhaps it is a relic of pre-historic religion… I half expected for mumming experts to ridicule the idea but I’ve had a lot of responses and all very positive. Over the next few months I have some interesting performances scheduled including Tenterden Folk Festival and a couple of events for Discovery Days. I will write separate posts about those nearer the time.